Leading the way: Barnsley head coach Daniel Stendel. TUCKED away in The Garrison music and sports bar in Barnsley, ‘Stendel’s Corner’ will ensure that the name of the Oakwell head coach will live on long after he has left South Yorkshire. Should the League One high-fliers achieve their mission of securing an instant return to the Championship in May, then ‘Stendel’s Kingdom’ will perhaps be a more fitting moniker. The popularity of Daniel Stendel may not have quite reached the levels that his ex-FC Gutersloh team-mate David Wagner enjoyed during Huddersfield Town’s rise to the Premier League just yet, but another compelling passion play is being written on the other side of the Emley Moor mast. Just as Wagner connected with Huddersfield supporters through his side’s aggressive, front-foot style of football which was laden with fighting spirit and ‘Terriers Identity’ as he constantly called it, so Stendel is similarly tapping into the psyche of Barnsley supporters. 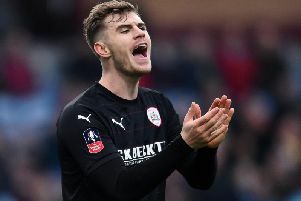 Further boldness is being displayed in another team who leave everything out on the pitch and embody the values of a town in Barnsley which has been kicked several times in the past – but always got up again. It is something that Stendel can empathise with. Brought up in the former East German border town of Frankfurt an der Oder, which was declared a fortress in the Second World War in an attempt to block the Red Army’s route to Berlin, adopting a siege mentality is something that also sits naturally with the 44-year-old. Like Barnsley, Frankfurt (Oder) has had its problems, suffering from high unemployment and low economic growth in the post-communist era. Yet its people are similarly proud and defiant. Speaking ahead of today’s televised League One game at Walsall, Stendel told The Yorkshire Post: “I feel that the Barnsley people work hard and it has been hard, especially after the closure of the mines. “I have the feeling it is only Barnsley here and not all others (English places) such as London. It is a little bit of ‘us against all others.’ I like this feeling. “Barnsley may be small, but we are all together, we work hard and we can make it. “I appreciate the honesty of the supporters here. 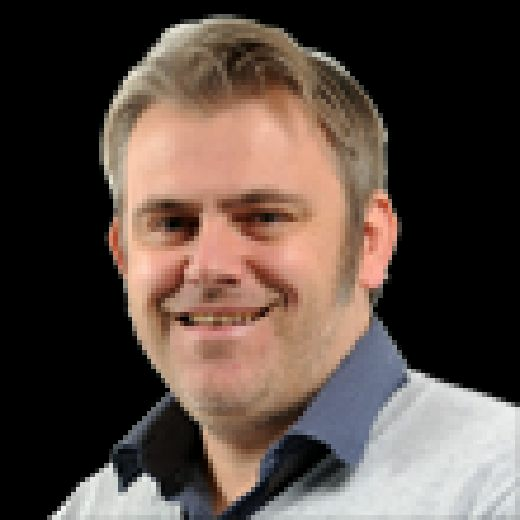 I gave an interview for a German football paper and said that a lot of people said that League One was ‘honesty football.’ The supporters come to watch the game and support you when players play not so good in some situations. For those wondering, ‘Stendel’s Corner’ was born after the Reds coach – fresh from arriving from Germany – visited the aforesaid watering hole in the town to watch the action in last summer’s World Cup with fans. I have the feeling it is only Barnsley here and not all others (English places) such as London. It is a little bit of ‘us against all others.’ I like this feeling. Barnsley may be small, but we are all together, we work hard and we can make it. With clubs’ interaction with supporters being a big part of the landscape in German football, it felt the natural thing for the former Hannover 96 head coach to do and it was an experience he enjoyed – even if last summer’s World Cup proved a write-off for his home country. “We watched the Germany games and they did not go so well in, so then I said: ‘okay, I am in England and England have not won titles for many years and maybe they will in the first year that I come to England.’ So I was a fan of Germany and England. “In Germany, you have so much more contact with supporters. Every training session and meetings and charities or whatever. It goes without saying that some head-turning early results firmly helped in Stendel’s integration process. Those summer days getting to know his squad and gaining a working grasp of the English language were long but also thankfully warm and fruitful. Stendel’s high-pressing style struck gold with a young, eager-to-learn squad seeking direction and identity after the muddled Jose Morais era. A regal opening-day exhibition against a chastened Oxford United side, who were floored 4-0 on an Oakwell afternoon when it could have been many more, then forged further bonds with supporters, as Stendel’s revitalised Reds laid down a marker, set the tone and got the town talking. Stendel said: “We started very well and the weather was so nice. Before, I thought that it only rained in the summer here. But there was sunshine every day. “The players showed interest and the feeling was that ‘we will try this’. There was a good atmosphere and the players were motivated for the new start. I also had a good feeling with the people in the town. “I have seen it before where fans are not happy and frustrated after being relegated on the last day. But, when I started here, there was no bad feeling and everyone wanted to change the atmosphere. “The trust was the main reason I came here. I wanted my way to be the way for Barnsley. “It is especially important when you cannot speak so much English. Stendel’s words have clearly not been lost in translation. As it stands, Barnsley are well placed to book a return Championship ticket. Victory today would see them move five points clear of third-placed Sunderland. albeit having played two games more. Resolve has been tested of late and will continue to be but a strong collective unity fostered by Stendel is underpinning Barnsley’s promotion drive. A go-karting day, Ninja Warrior assault course, table-tennis competition and a games day have also further helped to cultivate team spirit, with Stendel recently forced to shell out on a consignment of cakes for players and staff after losing in a game of head tennis. Further ‘fun days’ are planned, although Stendel is keeping the theme under wraps. “We have played Laser Quest, go-karts and I like fun things with a little bit of competition and I have some more ideas, but I cannot say what,” he added.